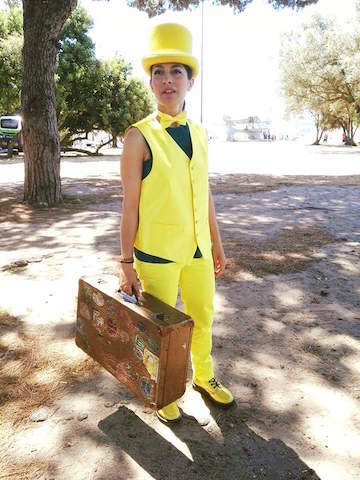 Sara is director and founder of Maths Busking and its sister organisation Intelligent Cabaret. 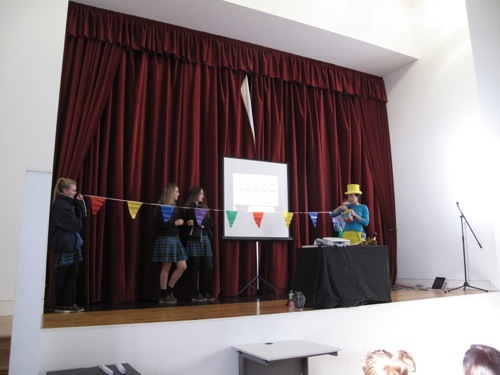 In 2013 Sara - together with Ken Farquhar - was a awarded a Royal Academy of Engineering Ingenious grant to initiate Ingenious Busking and transpose the Maths Busking concept to Engineering. Before running her own business, Sara worked in education management and has been a maths presenter since 2005. Sara is comfortable talking maths with both professors and the public. She regularly trains people in communication skills. Her corporate customers include the leading engineering firm ARUP and the UK's national academy of science, the Royal Society. Born in Portugal, Sara received her first degree in Mathematics at Porto University, followed by a PhD at the University of Manchester. Sara loves maths, and believes anyone can appreciate the power and beauty of mathematics. She is part of Raising Public Awareness committee of the European Mathematical Society. 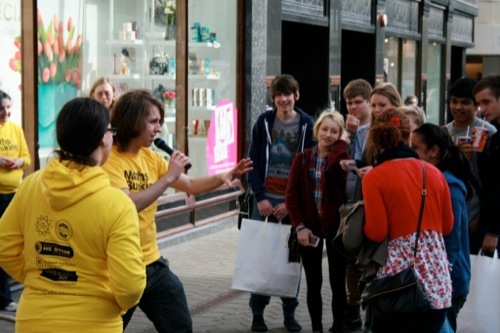 Since 2010 more than 200 people have attended the official Maths Busking training programme. 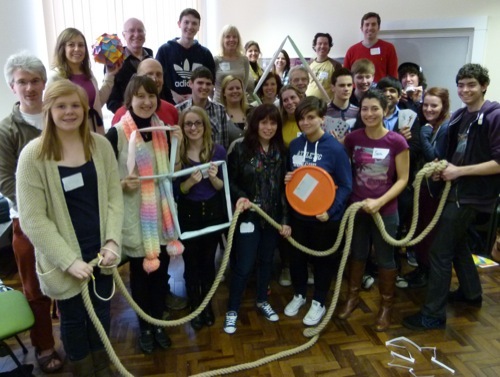 The network comprehends maths enthusiasts from all over the UK and overseas, including maths teachers, research mathematicians, computer scientists as well as students. 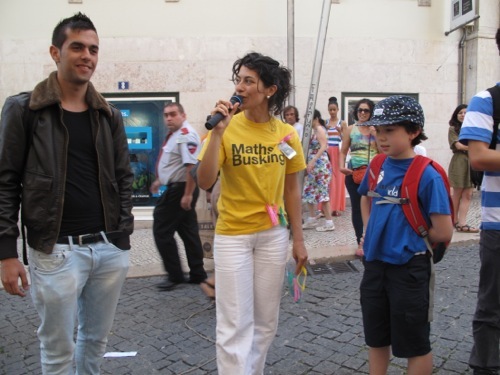 Maths Busking is a trading name for Sara Santos Productions Limited. This company is the only official Maths Busking provider. 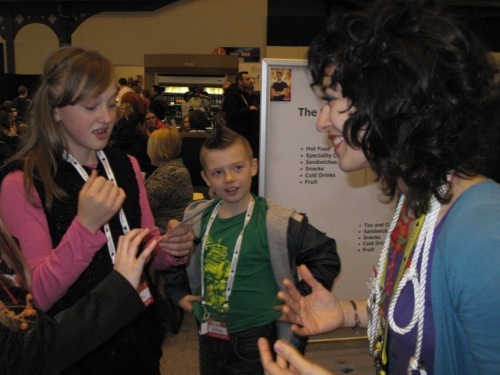 Sara Santos, the director, works with other practicioners in STEM, theatre and street busking to bring best practice into Maths Busking. In 2010 Sara and Matt Parker discussed ways of engaging people that are not necessarily keen to do maths. Playing with the idea of street busking Sara and Matt gather maths ideas suitable for outdoor environments. They consulted with Steve Humble. 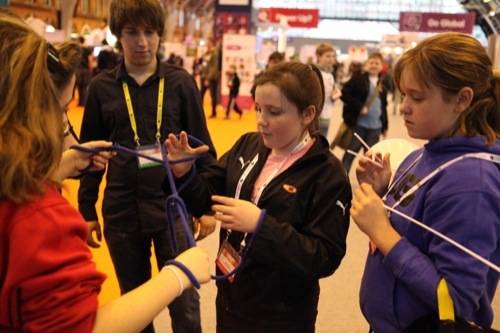 The pilot of the project was run in Manchester in March 2010 with two education grants (London Mathematical Society, Institute of Mathematics and its Applications). In the same year with a grant from HESTEM volunteers were trained in Manchester, London, Bath and Birmingham, and performed at several events in the UK. Since the end of 2010 Sara Santos took sole responsibility of the project. 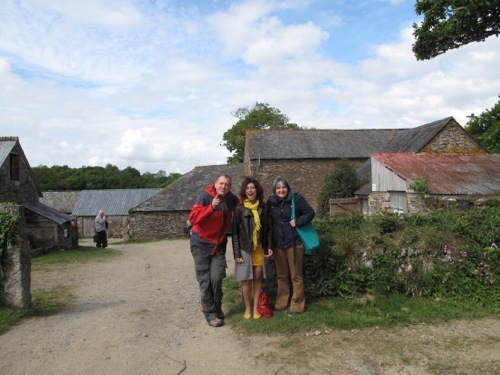 She thanks the support of Matt Parker, Katie Steckles and Rufus Roberts in the early years of the project. 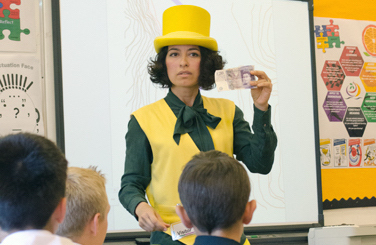 As Maths Busking became known to educators across the UK Sara began to receive requests to work with schools and the commercial operation was initiated.